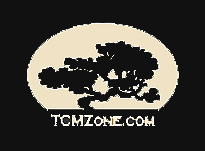 To set up your professional TCMzone.com account click the Register button on the Sign In page, which will direct you to our registration form. Complete this form (including your current license/certification number), then our TCMzone staff will be notified of your registration. Once you’ve filled out this form, please email, info@tcmzone.com or fax, (480) 377-6649 TCMzone with a copy of your license or certification number. Once this is received by our staff we will approve your account and you’ll receive an account approval notification by email. Then you can log-in with the username and password that you created and begin placing orders with us at your convenience. If you forget your password simply click on the Forgot Password button next to log-in area at the top of our website. You’ll receive an email with a link to reset your password. If you are a student of Acupuncture and Oriental Medicine you will go through the same process, however you’ll indicate your student I.D. number and/or school in the license field on the registration form and email or fax us a copy of your current student I.D.